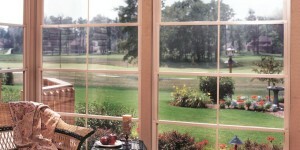 An industry-best 10-year warranty on the screens, vinyl glazing, and all moving parts. The heavy-duty aluminum frame is guaranteed for life. In addition to offering superior products, at Green Machine we also specialize in state-of-the-art installation services. We have an expertly trained and certified installation staff that prides itself on accuracy, efficiency, and cleanliness. We never cut any corners, ensuring that our porch enclosures are always installed perfectly. If you are interested in learning more about porch enclosures for your home in Ponte Vedra Beach, FL, or any other surrounding area, please contact Green Machine today to set up your complimentary consultation and to receive a free pricing estimate.